“I did not enjoy my own wedding, but I really loved the pictures taken by my wedding photographer” says 32 years old Priya. The pictures were “successful in hiding the disappointment” she had of her orthodox traditional Indian wedding. She loved dressing up the way she always wanted to, and was happy to get married, but she strongly feels that the rituals were inconvenient and demeaning. “A group of women literally groped me, poured oil on my head and asked my husband to put sindoor (vermilion) starting from my nose. I was also expected to not wash my head for a day so that the sindooor sticks to my head”. While this could be culture to some, Priya feels that people should be more mindful of such customs, especially if it is an inter-community marriage. “No wonder I am frowning in some of my pictures taken at the mandap”. In hindsight, she would rather have had a court marriage, followed by gala party with close friends and family. The big fat Indian weddings is usually known for the excitement and grandeur, but from mehndi and sangeet, to mandap to vidaai, the non-stop events get exhaustive not only for the hosts, but also, more importantly, for the couple. While a wedding laced with beautiful traditions and culture looks beautiful in pictures, more and more brides, grooms and some guests would have opted for a different kind of wedding because of logistical issues or regressive rituals. A few days back in a land of saffron oranges and saffron project of political outfits, a marriage ceremony happened without Kanyadaan in Nagpur, Maharashtra. 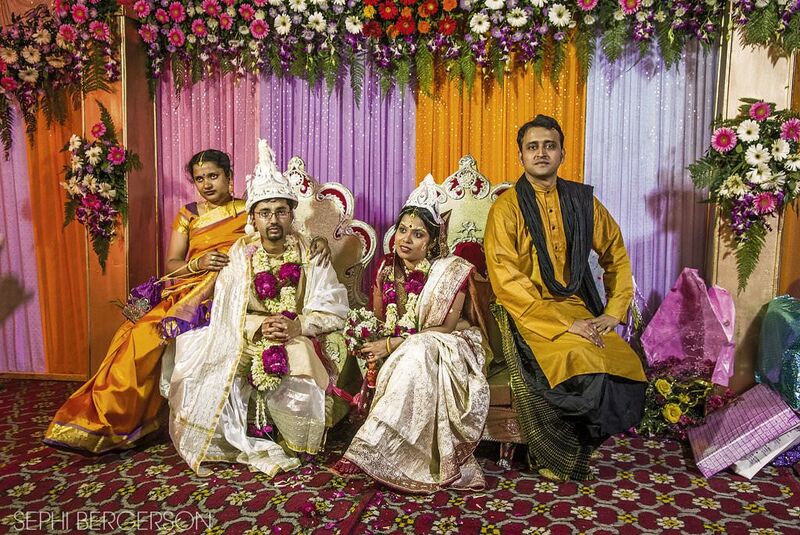 The mother of the groom took a stand and edited the Kanyadaan out from the marriage ceremony as she believed that the ritual objectifies women, and is redundant in modern times. While it is heartening to see such a positive change, such cases are rare. It would not be too much to say that many of these old traditions are oppressive for Indian women, and with an increasing level of education, many women want to opt out of some regressive rituals. Pallavi (33) got married seven years ago, and does not have many fond memories of her wedding ceremony. While it was meant to be the most important day of her life, she did not have much of a say in the way her own wedding took place. As the cost of the arrangement of the wedding function was borne by the bride’s family, the groom’s family behaved as guests and put lot of indirect demands on her family in the names of customs and rituals. Copious number of gifts, jewellery and cash were exchanged, which she felt was as if her love was reduced to a business transaction. She was asked to change her saree in wee hours during vidaai because after kanyadaan she was only supposed to wear the clothes given to her by her husband’s family. “While it was inconvenient to change clothes at such odd hours, it was very demeaning for me as a woman. Of course, I did not smile in pictures because I was too tired of these rituals being observed at midnight when I was half asleep”, she adds. Given a chance to do it all over again, Pallavi would opt for a destination wedding with close friends and family, wear a comfortable outfit with minimal jewellery. A subtle and classy wedding ritual would be closer to who she really is. 31-year-old Bhavesh (name changed) was tired of wearing a heavy sherwaani for 7-9 hours in hot weather. He also had to manage the distant aggressive relatives who were hell-bent of pushing many of the rituals and customs to bride’s family, which eventually prolonged the wedding unnecessarily. It was an extremely tiring affair for him and the forced smiles for the camera totally drained him out. 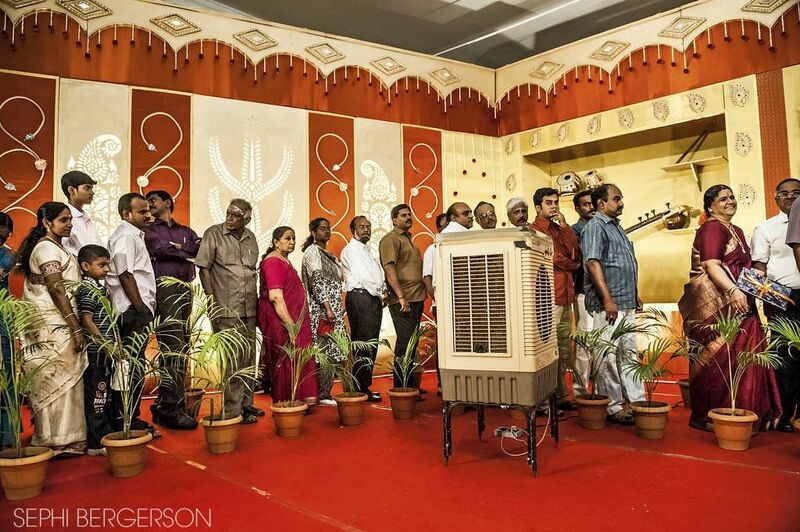 Sephi Bergerson, a photographer based in Goa who published a book on Indian weddings, has a lot to say about the subject. “I understand that many people take astrology very seriously, but surely one does not have to get married at 3am in the Delhi winter to make the marriage last. Can’t we find enough examples to prove the opposite? So many well traveled, educated, modern Indian couples let themselves be stupefied when it comes to their own wedding, just because a pundit says so. This is dogma, and goes completely against any common sense”. What Do The Couple Want? ‘Managing guests and distant relatives who you have probably seen once in your life is annoying and increase the guest numbers. The more the number of guests, greater is the conflict of opinion. It is better to call only like minded and easy going people in the wedding.’ Says Ramit Mitra, 40 year old co-founder of the Group Delhi by Foot, who is glad to see modern couples opting for destination wedding where only close friends and immediate family are invited. It seems these issues are not limited only to Hindu weddings, and cultural disappointments can be a part of a wedding even if it is fully arranged by the couple. Atiya, a 32-year-old communication professional had a traditional Muslim wedding, and opted for a simple wedding ceremony devoid of any flashy display of wealth. She says she has always been too practical, and never believed in fairy-tale wedding. The couple paid for their our own wedding, and kept the budget really tight. They did not even hire a photographer because they did not want to smile tirelessly whenever expected. However, even this way when she was in charge in of her own wedding, she could not bypass all the difficulties. “There was some confusion on the amount of mehar (the amount of money husband’s family gives to the wife as her due right) given. In the Indian patriarchal set up, groom’s family still do not wish to give this amount to bride but still expect the bride’s family to cover all the wedding expenditure, which is unfair”. Twisha, a 31 year old Trade Manager based out of Seattle, married really young. “Dowry may be a crime, but modern day dowry is taken in the garb of covering wedding expense. I do not like to look at my wedding album because it reminds me that I married in a disgusting way. I was totally covered in ghoonghat(veil) and huge bundle of sarees were kept on my head”. Given a chance to do it differently, she say she would rather use all the money to feed children in orphanage. However, as they say; one person’s problem, is another person’s luck. What is a head ache for the couple, can sometime translate to great imagery. Can A Bad Wedding Ceremony Make For Great Pictures? 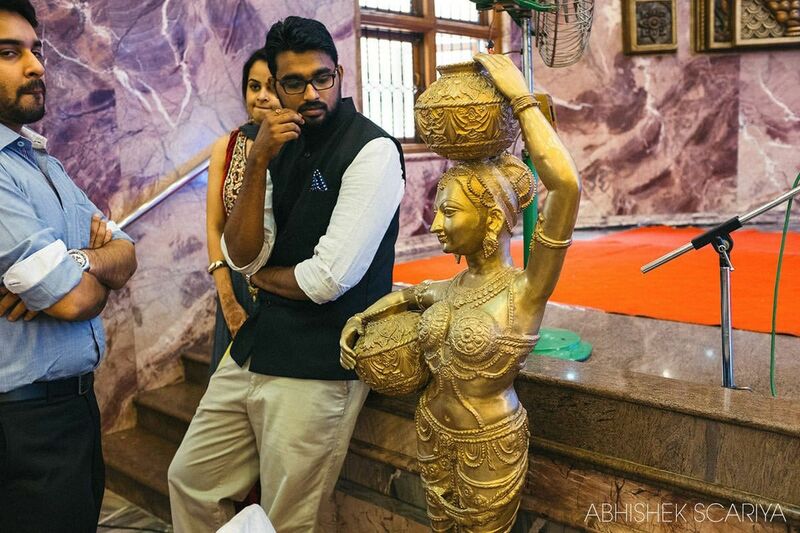 Abhishek Scariya, a Bangalore based wedding photographer, feels that photography is extremely powerful when it tries to show everyday realities through natural visual expressions and settings. While he strongly believes that many traditions, symbolisms and rituals are important, and have a legitimate place in the culture, his least favourite part of shooting a wedding is when couple is made to recite endless mantras in a language which they barely understand. He believes the bride and groom ought to understand and know the words and oaths that are spoken, and having long sessions in Sanskrit goes contrary to the purpose of the couple coming together and pledging their life and love to each other. On the lighter note, he has been shooting weddings for ten years now and says that a humans have a tendency to not sit unengaged. Such situations sometimes lead to the couple in a mode of ‘multitasking’ of sorts and that gives some good photo opportunities. This is also the time where once he’s captured the essence of a repetitive ritual, we can shift the attention to the action among friends and family where some great photo opportunities awaits. “I love the diversity and variety in Indian weddings, and the elements of our culture leaves a lot of scope for documentary photographers”. Would you agree that while traditions play an important role in Indian weddings, they need to be adapted to modern times for the sake of the modern couples? After all, aren’t weddings meant to be enjoyed? We would love to hear your thoughts and expereinces in the comments below. 1. Clients themselves should stop making a joke of the term ” destination wedding”, no it is not about booking a resort on the outskirts of a town and taking a 1000 people there and Calling it a destination wedding. 3. Are you planning this wedding to stick around in the so called society stigmas or to define yourselves ?? 4. Couple – Hello hello !!! Your culture, your tradition, your family – don’t you know how the ceremonies will turn out to be ?? Instead of dreading over the sabyasachi and Manish Malhotra and making it sound like hell will fall if your outfit color is one notch lighter or one notch darker – TALK . Talk to your family, talk to your spouse, express what a wedding means to you , express how you see yourself at the wedding on your big day, PLAN YOUR DAY , PLAN HOW YOU WANT TO FEEL, plan your moments , spend sometime planning these memories!!! Wedding is about being with people who matter to you , not how big a dramatical saga your uncle or neighbor planned !!! We are the society – Be vocal about this . Thanks for the comment Garima. I could not agree with you more. I had an interfaith (I am hindu and my husband of Jewish origins) interculture wedding. I belong to an upper middle class family and had told my family since ages that I would never want a wedding where I myself don’t get to enjoy the day I had been anticipating for so long. I am so grateful to my in laws that they spoke to my parents about equally bearing the cost of the wedding. As far as the rituals were concerned, my parents are strict Brahmanas and absolutely wanted me and Johann to get married in a temple. We got an arranged marriage in an Arya samaj Mandir with 40 people. But then my parents’ wish of inviting 300 people to have ‘everyone invited’ couldn’t have been fulfilled right ? We thought of having a big buffet in one of the banquet halls for 180 people (I had to cross out 80 people from my dad’s list and let me tell you, it took weeks and months to convince him). I had all my parents’ friends, colleagues, neighbours , neighbours’ relatives (yes!) , Ma cousins , my cousins’ in-laws (yes again!) come to this party and we all went back home at midnight. Trust me it was the IDEAL wedding. Furthermore, I was adamant for having a destination wedding too. We thought of taking our best friends and closest relatives to Neemrana for 2 days , relax together, party hard together and shake a leg all night long. I was so relaxed and so was my husband. My friends took my wedding’s cue to organise theirs and I can’t be any happier for them. My parents today advice their friends and other relatives to do the same. Moral of the story, wedding happens once in a lifetime, it’s YOUR bloody day, and it should be you and only you should get to decide how you’d want to celebrate it. Thank for taking the time to write Nishtha 🙂 I’m glad to see more and more couples consider these new options. Weddings should be about what the husband and wife want and what they beleive in. Even my husband and I complied with the wishes of family (wishes of society) when all we wanted was a simple ceremony. All the parties, endless pandit performed rituals, haldi, mehendi, exchange of gifts, dresses, jewellery seemed like a waste of time and money to us but we could’nt offend our families. But we are very determined to let our child (once we have one!) to do what he or she likes and not impose and societal or family customs on him or her. Thanks Twisha dor sharing the opinion. Many a times silence is taken as acceptance which is not good. A little Knowledge can be dangerous sometimes…. I doubt the writer has a very detailed knowledge about Traditions rituals and astrology…. We see things, exactly the way we want to see. Dear Sumit. Thanks for the comment. The writer is actually Indian, and had an Indian wedding. This piece involves views of many people. What exactly is your point? Yes Sumit. You are right. May be people are master of culture and traditions should do it certain way. However, this article gives voices to people who would not want it the way it happens.Unfortunately they have been forced to do things in a certain way because of social pressure. Had everything were right with traditions, a lot of people would not have opted for court marriage or marriages where certain rituals are edited.